We’re heading into what in the private school world is referred to as “admissions season”. Over the course of the past several weeks I’ve toured numerous families and have already received applications for the 2017/2018 school year. 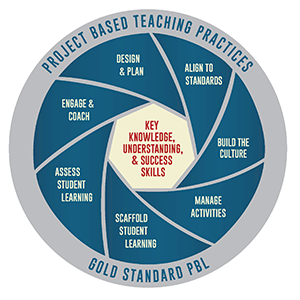 Several families, as we toured, asked me about project based learning (PBL) and what we do at Clariden that’s different from other schools as it relates to PBL. 1. Clariden follows the Buck Institute’s Gold Standard when developing and implementing our projects. 2. 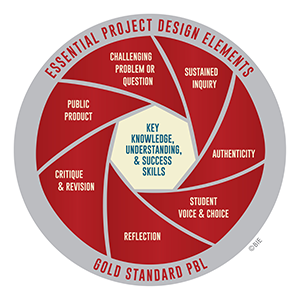 Projects are developed to meet and exceed Texas State Standards as well as meet all elements of the required Gold Standard for PBL. 3. Projects span a length of time (4-12 weeks). This allows for a greater level of understanding – mastery of concepts and an in-depth understanding of how concepts apply to real world problems. 4. Clariden‘s projects are designed to allow for creativity, collaboration and for students to have choice and ownership of their learning. 5. Clariden‘s learning environment is designed to promote student voice. Students learn to use their voice to state what they know, what they’ve learned and how to present in a manner that reflects their knowledge of content and concepts and their ability to problem solve. 6. Clariden‘s projects are enhanced by field study and travel. 7. Clariden students gain knowledge from experts and mentors. 8. Project work is integrated with concepts learned in content time. This reinforces learning and allows for further exploration. 9. Clariden designs projects that challenge students to think about and create items that they may have previously had no experience with. For example: rockets, robots, the rain forest, rovers, Texas ecosystems, roller coasters, hatching of baby chicks, etc. 10. Clariden students are actively engaged in their learning and are happy to be at school and most importantly – happy and eager to learn. What we do at Clariden is not easily duplicated and appears to be, based on the number of individuals I’ve had the pleasure to meet over the past several weeks, quite desirable. ← How Do Gaps in Learning Occur?